In the fall of 2010 my family went on a road trip through Southern California, Arizona and Nevada before heading back to our home in Northern California. We spent about a week making stops in Disneyland, Phoenix, the Grand Canyon, the Hoover Dam and Las Vegas. It might seem like a week worth or driving was long, and it was since we drove about two-thousand miles, but it wasn’t overwhelming at all. The trip was split up into different segments so we didn’t have to do too much driving at one time. One thing that really impressed me during this trip was what we saw in Northern Arizona. Obviously this part of the state is recognized for its natural wonder we all know as the Grand Canyon but it really is much more than just one amazing thing to see, certainly no disrespect to the Grand Canyon because it truly was surreal to spend a day there. If you have a bucket list (a bucket list is a list of things you want to do before you pass away) visiting the Grand Canyon should really be on it. If you haven’t been there words cannot describe the sheer beauty of this amazing canyon. We visited the South Rim of the canyon and we were not disappointed. You have probably heard people say that there is not a bad seat in the house at a sports stadium or maybe a theater but at the Grand Canyon that comment really hits home. It doesn’t matter if you take one of the bus routes to a predetermined stop or if you just drive around on your own, the views are breathtaking. What floored me was how the same view could look completely different, just by driving up the road a half mile or so. Your mind registers that you are really looking at the same thing you just saw but you can’t help but feel it is different since the canyon is so large and vast. 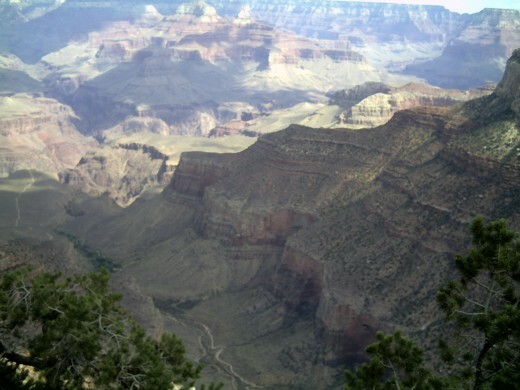 The Grand Canyon has lodging relatively close to the rim and I would highly recommend staying at one of the lodges. The biggest drawback to staying at one of the lodges is you need to get your reservations in months ahead of your trip. We visited in early October and we made our reservation in April; even six months ahead of our trip over half of the rooms were already reserved. I would also strongly advise spending a full day here, at least. Since there is so much to do and see your day will go by pretty fast. 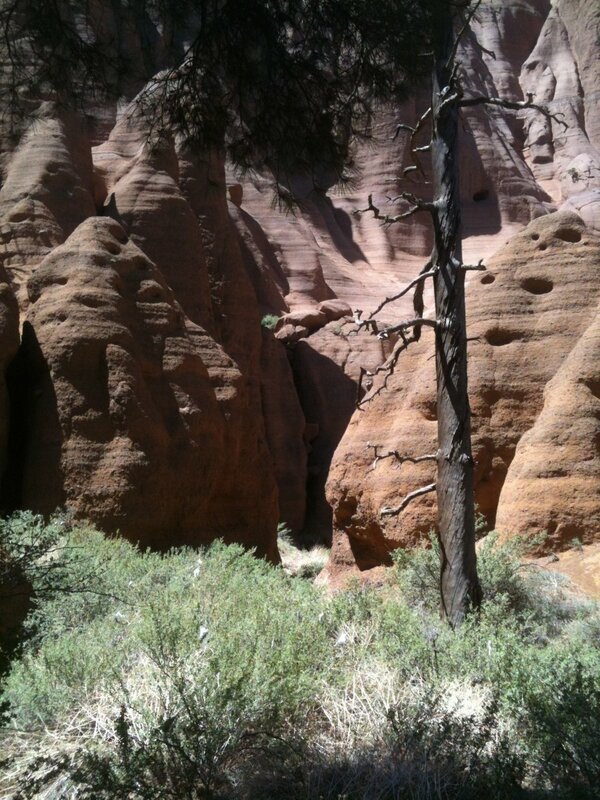 If you are up for an adventure you can take some of the trails down the canyon walls by mule or foot. Some trips are available to actually hike down the canyon to the Colorado River. We elected to not do this but we could see groups meandering down the canyon, it was very cool. There are also west and north rims of the canyon for visitors to see but they aren't as easily accessible as the south rim is. If you want to visit portions of the Grand Canyon that don't have as many people consider these other two rims. My wife and I had been to Sedona once before when we lived in Phoenix right after our son was born. We drove up and spent the day in Sedona and it did not disappoint. When we visited this time around our son was no longer a few months old and confined to a stroller. 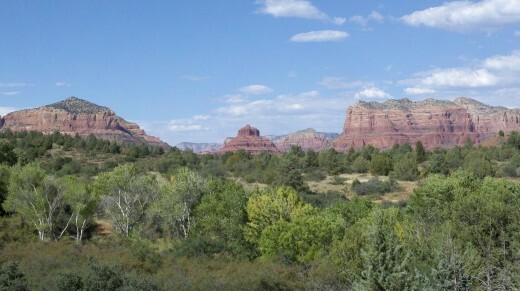 If you haven’t had the joy of seeing Sedona, add it to that bucket list I mentioned earlier. 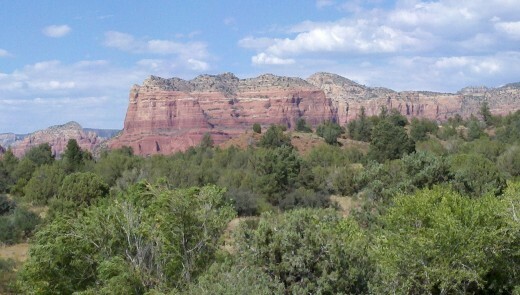 There are so many hills made of this stunning red rock that just shoots out of the landscape. We found ourselves just lost in time while looking at the red hills; it was almost like we became so absorbed in the splendor of the scenery that time didn’t matter anymore. Even though Arizona is known for its summer heat, Spring Training Baseball and other things there are places of this state that actually do get snow. Flagstaff is probably the best area in Northern Arizona to get some snow play in your life. 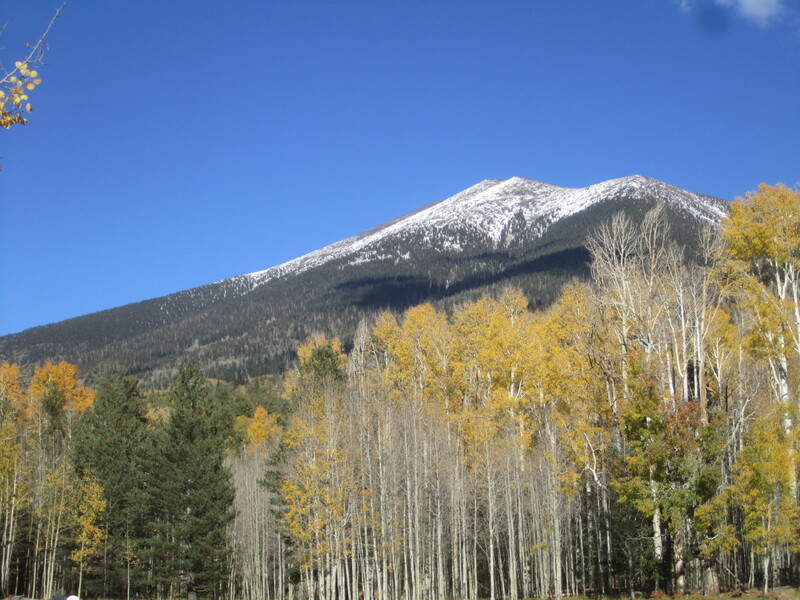 I’m not a skiing guy but I can easily see how people could enjoy skiing in the Flagstaff area. Even though the mountains aren’t as big as I’m used to seeing in Northern California they certainly looked big enough to me for people to ski down. 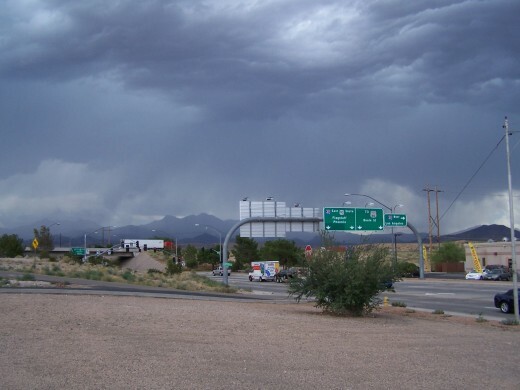 I was also mesmerized at the clouds in this part of the state; my previous stay in Phoenix had exposed me to the different weather the state experiences. 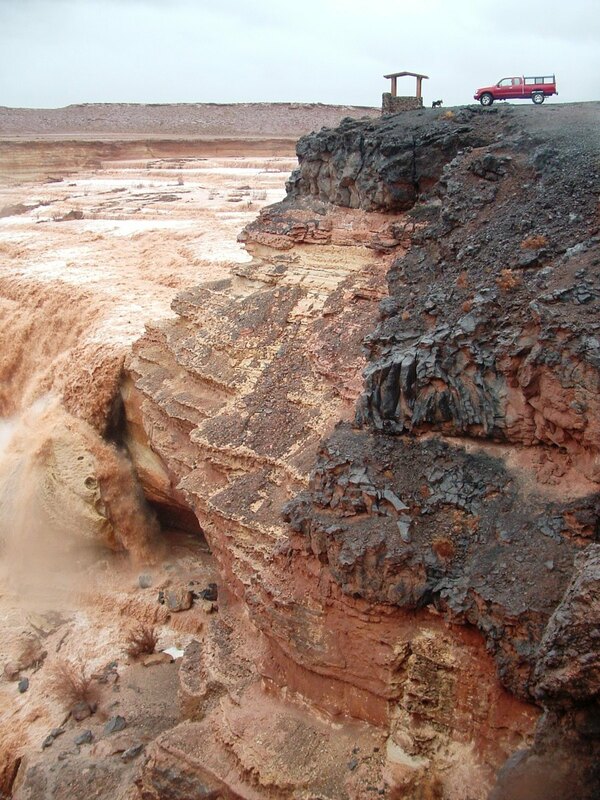 Monsoons would occur in the late summer months dumping inches of rain in a very short period of time before they seem to just evaporate into nothing. They also get these huge dust storms that roll in from the desert. These storms blanket the city reducing visibility to next to nothing until they pass. 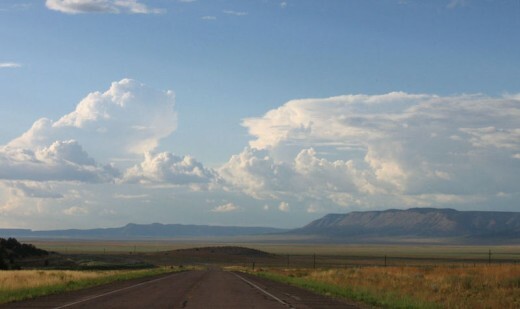 With my past weather experience under my belt I was expecting some different weather than we were used to seeing at home but the way the clouds formed when we drove through Kingman (about 150 miles west of Flagstaff) were gorgeous. We actually pulled over in a gas station parking lot to have our lunch while just watching through the windows at the cloud formations. After we left the Grand Canyon we began our trek to the Hoover Dam. The Hoover Dam is in Nevada but it is only about a four hour drive from the Grand Canyon. If you are planning a trip to this area squeeze in the Hoover Dam and take the tour inside the dam, you will be glad that you did. 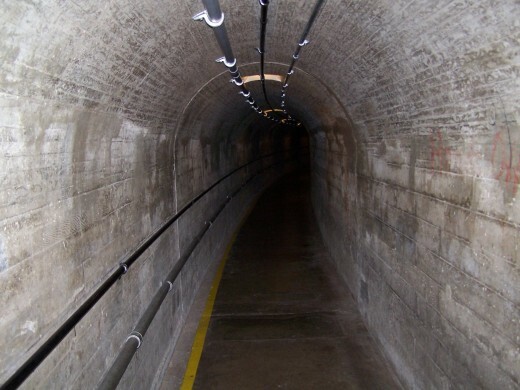 During the tour you can actually seem marks left by the workers when they built the dam back in the 1930's. We stayed a night in Williams on our way to the Hoover Dam. Initially this was just a good spot to stay for the night but I’m really glad we stayed here. Even though the city probably won’t win any tourism awards we stumbled upon a little piece of our Country’s history while running out for dinner that night. Route 66 is one of the original highways in the US and goes from Illinois to California. The highway itself was built in the 1920’s and was almost 2,500 miles long. Many people in my generation, and younger, don’t recognize Route 66 as a major player in our countries highway system; I’m sure my walking map of a father remembers it well from his younger days driving tractor trailers. Our generation knows Route 66 from the Disney movie Cars. Remember Radiator Springs in the movie? Yep that was Route 66. Now that you have some wonderful options to visit in Northern Arizona what do you want to do first? There is no wrong answer to that question; you can do whatever you want to do obviously. The point is a variety of options await you, if you are considering visiting Northern Arizona. Marcy - Thanks, we will have to look up that canyon because I'm not familiar with it. It was a great trip for our family. Kathleen - It really is a beautiful part of the state that can sometimes get overlooked I think. So many beautiful things to see that many parts of the country cannot duplicate. michiganman567 - I'm glad you are going to add it to your bucket list, you will not be disappointed. teaches12345 - The pictures don't do the canyon justice. It was a wonderful trip we had and the views were amazing. 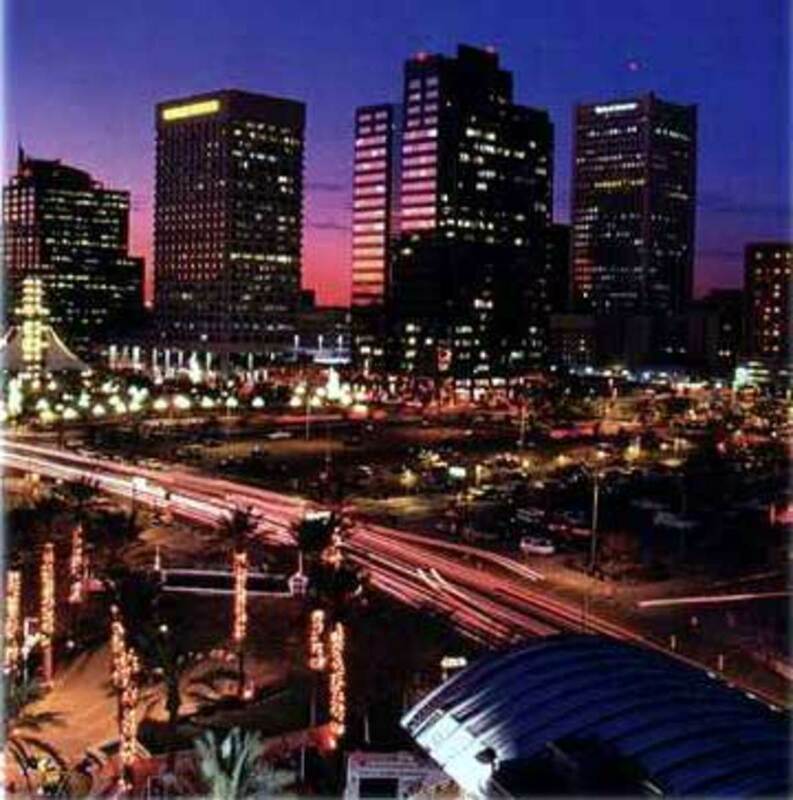 You certainly saw some of the best spots in that beautiful state! Arizona is a favorite of mine - every turn in the highway is a photo op! If you ever go again, a visit to Canyon de Chelly is well worth it - even more vivid coloring than the Grand Canyon. Great hub, and great photos! This looks like such a beautiful part of the country. 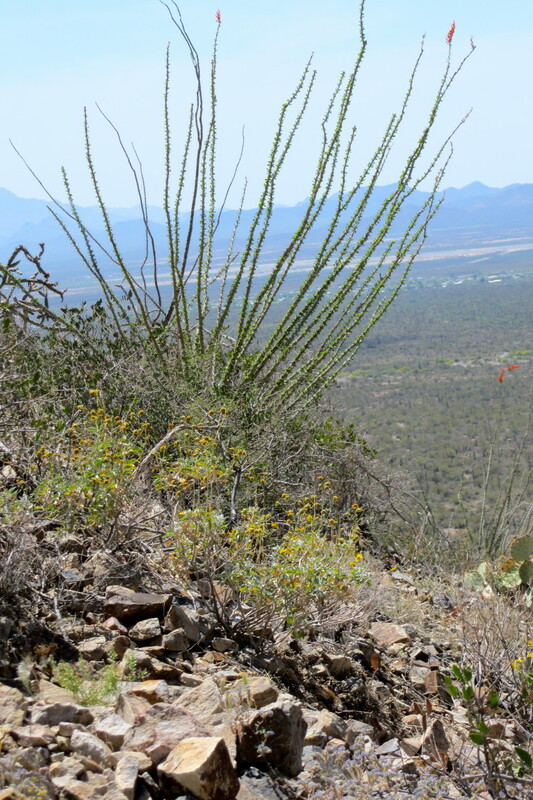 I love the rocky landscape of Arizona which I've seen a lot on TV but have never visited. Your hub definitely makes me want to put it on my list of American destinations to try. Monument Valley was as impressive to me as the Grand Canyon. But all the way around, what a beautiful part of the country. Great topic for a hub and pictures. Very nice hub. Thank you for sharing your pictures and tips for making a northern Arizona trip. I'm going to have to add it to my bucket list. Fascinating hub topic and one that makes you just want to venture out that way. 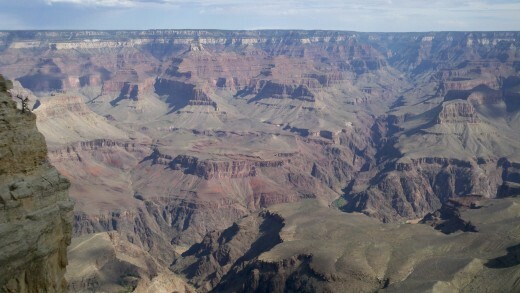 I have been to Arizona before, traveled route 66, but didn't get to see the Grand Canyon. As you article opened up, the view unfolded as if I were gazing down from the top of another mountain. WOW! Thanks for sharing on this one.